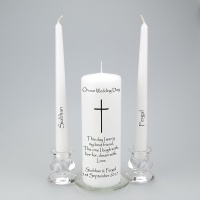 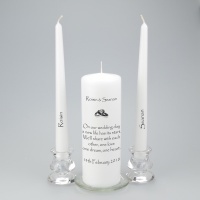 Our personalised Unity candles sets are lovingly made to your requirements, we have many options to choose from, each with some popular verse templates. 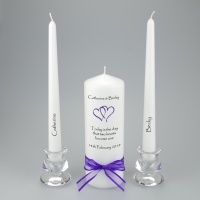 Alternatively you can create your own verse and mix and match with other designs. 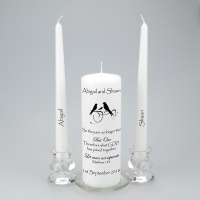 Please do contact us should you require something not shown and allow us to work with you to create the perfect Unity Candle for your wedding. 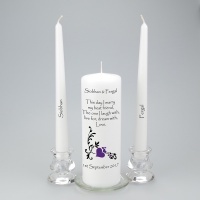 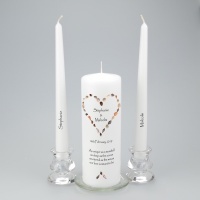 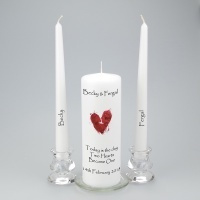 A beautiful Personalised Unity Candle set featuring an abstract heart. 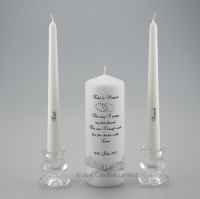 A beautiful Personalised Unity Candle set featuring a heart of seashells. 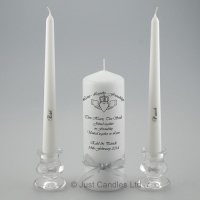 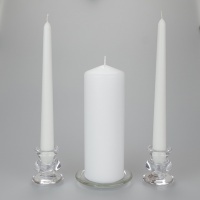 A beautiful personalised Unity Candle set in white or Ivory featuring gold or silver interlocking rings.